Fewer Auckland investors are looking to sell down their portfolio than were earlier this year, according to the latest property investment research by Crockers. The deluge of new housing and tax policies set to impact on investors and boost their costs means recent talk has been all about investors exiting the industry. But the Crockers’ Auckland Rental Property Investment Index shows there was actually a substantial decrease in the proportion of Auckland investors looking to divest rental properties in April. There was also an increase in the proportion of investors planning to increase the size of their portfolio in April. Further, April saw an increase in the proportion of investors expecting the “same” returns, coupled with a decrease in those investors who are expecting “worse” and “better” returns. This could be a sign of post-election uncertainty waning and some confidence returning to the market as it stabilises. Two other recent reports provide some support for this view. The latest CoreLogic property market data report shows that, after easing off in the wake of LVR restrictions, multiple property owners nationwide have now returned their market share to 37%. CoreLogic head of research Nick Goodall says that, to date, extra regulations around the provision of rental property do not appear to be deterring investors. Meanwhile, the Property Institute latest poll on house price expectations reveals a big bounce in the number of people expecting house prices to rise. It shows that the number of people expecting house prices to rise in the next six months has almost doubled and now sits at 34%, which is a big jump over the November figure of just 18%. There was also a big drop in the number of people who expect house prices to decrease – down from 24%, in November, to just 12% now. But Property Institute chief executive Ashley Church says that there is no evidence, yet, that renewed price confidence is spilling over into higher prices. 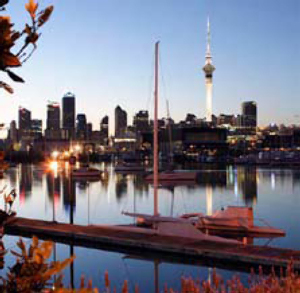 Aucklanders, by a majority of 54%, are most likely to think that property prices have stabilised, he adds.